The LinkedIn company page is free to create, all you’ll need to get started is a LinkedIn account and a verified company email address. You can customise your page with your distinctive assets, key information and images, and post regular updates to help showcase your employer brand and position yourself as a market leader in your organisation. In many instances you will want to use this platform as a way to showcase what makes your company a great place to work, so make sure you share plenty of stories from the workplace, blogs that give an insight into your brand as well as vacancies you have. There is also an option to enhance your company page with LinkedIn Careers Pages, this will come at an extra cost however the added functionality can help you to showcase your employer brand more to potential candidates, which is extremely useful for companies that use LinkedIn for both business development and talent acquisition. If you are looking to recruit for your organisation you may choose to pull up a tailored search through LinkedIn for Business. With 560 million professionals on the platform – including the active candidates who might be discoverable on the job boards as well as those tough to find passive candidates. Depending on what skillset you are looking for you may find your search returns a huge number of results, and individually messaging each person can be an overwhelming task. LinkedIn InMails allows you to send bulk messages to potential candidates without relying on you being connected to those individuals. InMails are only available to those with a Premium account, but if you have a large requirement for hiring then it may well deliver a strong return for the money. An InMail can only have a maximum of 2000 characters, and if you are looking for something even more effective then LinkedIn also offer sponsored InMails which can be personalised and are delivered only when those members are active on LinkedIn (for better results). LinkedIn for Business (Recruiter version) allows users to create projects to track candidates and the specific activity that you or those you’ve shared your project have taken with that particular candidate. You can run specific searches and save a candidate in a new or existing project to help aid your sourcing processes. This tool is fantastic for companies that use a collaborative approach to resourcing candidates, and it will allow you to reach out to people more intelligently as you will know what interactions with your company have happened previously for each candidate in your projects. Using projects will also help to suggest professionals for you too, meaning you could discover a fantastic candidate as a result. Arguably one of the most effective LinkedIn for Business tools for hiring are LinkedIn jobs. LinkedIn’s studies suggest that 57% of people on LinkedIn have not visited the top job boards recently, 9/10 members are interested in hearing about new opportunities and a hire is made every 10 seconds using LinkedIn! Jobs are at an added premium for LinkedIn users, but allow targeted promotion, suggest potential matches based upon candidate profiles and allow for simple candidate management within the LinkedIn jobs dashboard. You can post your job in a few easy steps, linking to your company page to help showcase your organisation and your active opportunities. Candidates who use the platform can label their preferences on a scale from “actively applying” to “not open to offers”, making it easier for you to decipher which candidates are more likely to be receptive to being contacted about your vacancy. Sharing content to your LinkedIn business page or profile can go some of the way to delivering your brand message, however this relies heavily on you already having a strong following / network so if you don’t you might find that you are posting all this great content that is never seen. At an additional cost you can tap into LinkedIn Sponsored Content, which promotes your content with native ads in the desktop and mobile newsfeeds. Not only will sponsored guarantee that more people see your content, but it can be targeted in a way that you are reaching relevant people. You can target on location and job title for example, which can be extremely beneficial if you are promoting for a specific vacancy at your organisation. LinkedIn Pulse is a publishing tool that allows LinkedIn members to publish content such as articles or blogs, sharing directly to their audiences on LinkedIn. A lot of the content you see on your LinkedIn feed comes from Pulse and with 130,000+ original articles posted each week there are a lot of companies understanding the marketing benefits of using the platform. From a talent acquisition perspective, the platform is an excellent way to showcase the key information about your organisation that will hook in potential candidates. Use the publishing tool to tell stories about your company culture, your awesome benefits or just to share the latest updates about your organisation! Your marketing team will often be best placed to create the content, but remember that it is sometimes more powerful to see a share or endorsement from an employee in a different department. For example if you have a huge requirement to recruit for your IT team, then a blog shared by the marketing manager might not get as much relevant engagement as a blog shared by your Lead Developer. Consider reaching out to employees to see if there is an appetite to get involved in content creation, you may be surprised at the response you get! So there are six examples of how LinkedIn for Business can be used as one of your greatest social media tools. The platform is geared at professionals, and as a result there are more opportunities to tap into candidate information to help your candidate attraction efforts. Not on LinkedIn yet? Get your free account here. 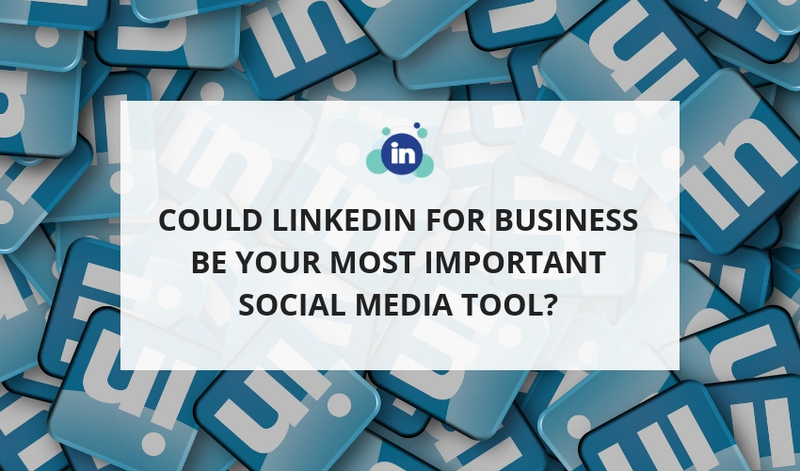 https://jobholler.com/wp-content/uploads/2018/11/Could-LinkedIn-for-Business-be-your-most-Important-Social-Media-Tool_.jpg 500 850 Could LinkedIn for Business be your most Important Social Media Tool?